People are upgrading to Mac, leaving their old school PCs behind, in order to achieve high-speed data processing, which indeed requires them taking their respective mailboxes to the newer platform along with other essential files. Outlook Mailbox migration in such cases is quite simple, as one has to move only the Outlook data file from Windows to Mac, and then convert it to its corresponding Apple Mail data file. 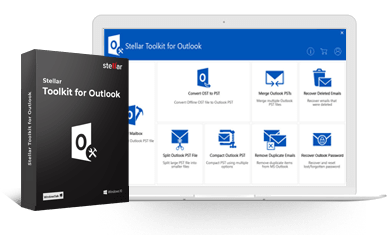 Stellar Outlook PST to MBOX Converter eases converting Outlook mailbox to its corresponding Mac Mail data file, which user can simply import into Mac Mail or Apple Mail. This prominent mailbox converter got the ability to carry out the task, keeping the entire contents in the mailbox intact. For a successful mailbox migration, see how to convert Outlook to Apple mail in the below section. Run Stellar Outlook PST to MBOX Converter on a Mac OS based computer and click Browse opposite to Select PST Mailbox, and then select the Outlook data file for conversion. Click Browse opposite to Select Destination Path and select a destination to save the converted data file. In case the exact location of the source data file is unknown, click Find PST instead. On the Find PST screen, select a volume in the Look in menu, and then click Start to perform search in it. The converter by default selects the boot volume. Once it finishes scanning the selected volume, it lists the discovered Outlook data files in the list. Select the right one in the list and click OK to start conversion. With mailbox conversion started, the software displays two progress bars indicating progress in conversion and the current step out of total. Once the software finishes converting the mailbox successfully, it flashes a pop-up notifying the same along with the location of the saved file. Clicking Yes on the pop-up opens the help file displaying steps to import the converted data file into Mac Mail. With the aforementioned explanation, one should not be left doubtful about how to convert Outlook for Windows to Mac Mailbox. If there is any, put these steps into practice. Is there any option to find the exact location of my PST file?